QTU Life Member Terry Callaghan has passed away at the age of 77. Terry was heavily involved with the Union throughout his long career, serving as a branch officer continuously between 1965 and 1995 in 10 branches. He was a Council Delegate from 1965 to 1988, representing Nambour, Central Queensland Secondary, Central Western, Leichhardt and Peak Downs. He also spent 10 years on QTU Executive, attended 18 QTU Conferences and represented the Union on several committees, boards and panels. In 1968, Terry and colleague Lyle Schuntner redrew the QTU’s Brisbane Metropolitan area, replacing the existing five mainly “specialised” branches into 16 geographic branches. They also reviewed the rules for the chartering of these new branches. These changes were instrumental in allowing a huge increase in the number of teachers who could now get directly involved in the affairs of their Union. 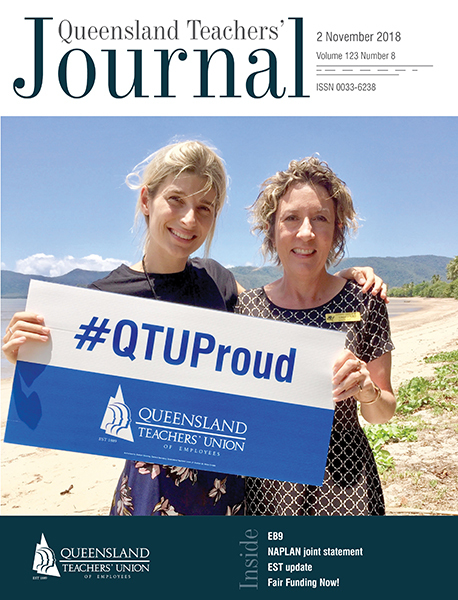 He became a Life Member of the QTU in 1997, later admitting to feeling “very humbled to be recognised with this honour for my years of Union service”. He was also a Life Member of the Australian Labor Party. Terry graduated from Queensland Teachers’ College in 1959 and was appointed to Welller’s Hill State Primary School. In 1964 he was reclassified as a secondary teacher and transferred to Nambour State High School as an English and history teacher. He went on to serve as a principal for 19 years, working at Longreach, Boonah, Mt Isa, Moranbah and Southport State High School, where he ended his career.